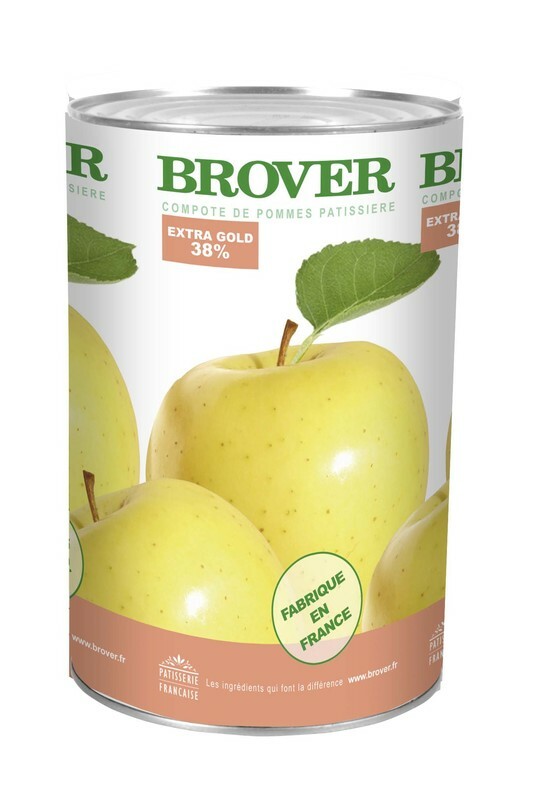 Apple filling Extra Gold 38% in tin 5/1 for baked goods and pastry. The Extra Gold 38% is delicious by itself; it can also be served just with a small amount of cinnamon or many other foods. It might as well be used by pastry chefs to make delectable treats such as apple pies or apple turnovers; in fact, it holds together extremely well when cooked.